Blog | How Are Air Ducts Cleaned? There are two separate kinds of air duct cleaning – that performed with a truck-based system and that performed with a portable vacuum. This post explains how air ducts are cleaned with a truck-based system. There are three steps to air duct cleaning: access, inspection and contaminant collection. 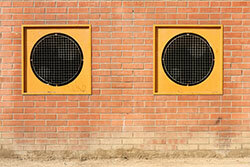 The first step HVAC air duct cleaners do is exactly what it sounds like. Before a company such as Air Duct Cleaning Anaheim begins a cleaning, it will have to find access points through which it can reach the air duct system throughout the house. The next step professional air duct cleaning companies will take is to inspect your ducts. This inspection can be done manually, with a remote camera mounted on wheels to roam through the ducts, with a mirror and even with a closed circuit television system. The purpose of the inspection is to see how much dust, mold and other debris is present in your system. The final step in servicing an HVAC system’s ducts is the removal of any debris or mold that the ducts currently harbor. The company will first mount a powerful vacuum from the truck that will create suction towards the outside of the home. This step ensures that your indoor air quality at home does not suffer from loosened debris backing up the ducts back into your house. The vendor than will use various devices, including pressurized air, brushes (hand-held and power) and pneumatic blowguns to both loosen the dirt and corral it to the vacuum on the truck. Most reputable cleaners will not stop with the ducts in your home, but will continue forward; essentially performing an HVAC unit cleaning that includes your ducts, drip pan, coils and compressor among other items. Once your service is finished, take a minute to check your air vents and see if you can tell a difference in the first few feet of the vents. If you have used a reputable cleaner, you will.